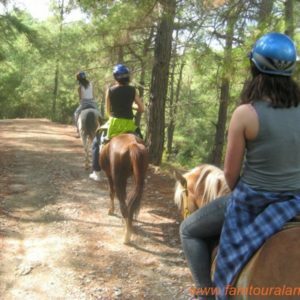 Horse Riding in Alanya is the perfect way to take in the breathtaking scenery and in many cases it is the only way to reach the off the beaten track places. 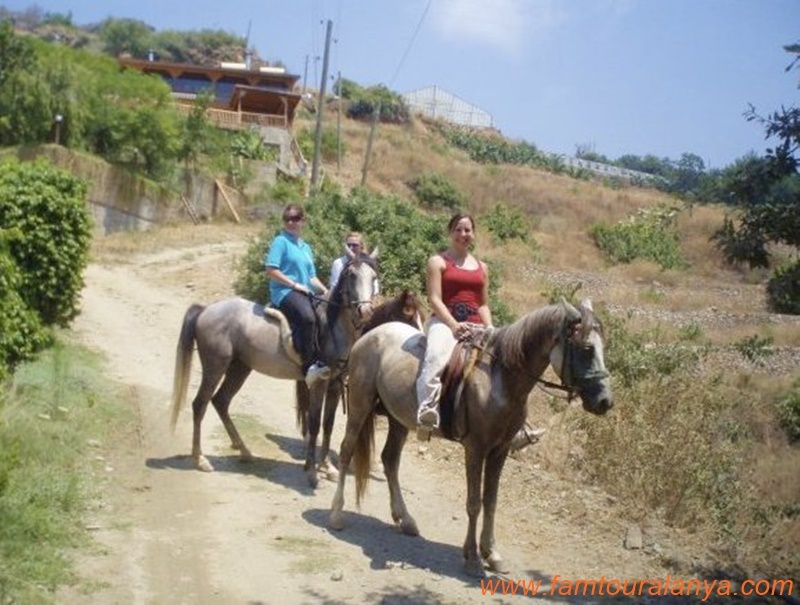 Alanya Horse Riding Tour: A wonderful experience for all the horse lovers Book a ride for yourself, your partner, friends or family and consider a unique adventure. 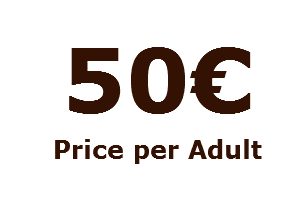 We Have 20 quality horses to choose from, allowing us to cater for the exact needs of all riders. 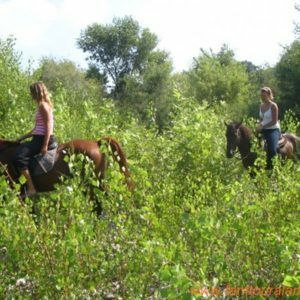 Our friendly staff will select a horse to suit your riding ability, from gentle horses for beginners to more challenging horses for experienced riders. Individual instruction is given to all riders prior to departure and roving supervisors are on hand to assist riders if required.Friendly service and cleanliness are our main focus. 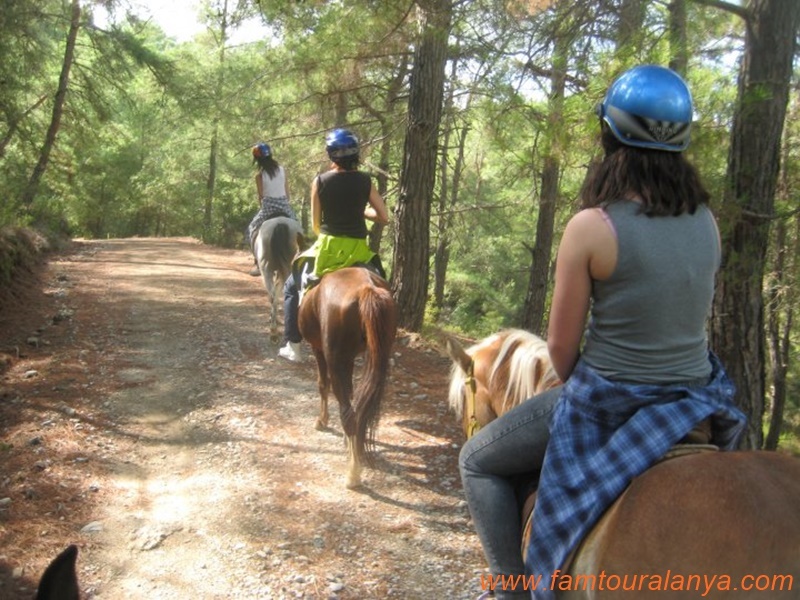 Children have the opportunity to move around freely and play.A pleasant and eventful tree-hour ride with experienced guides will lead you to the old city Syedra Castle.This is pure nature and you experience Alanya from a different perspective. 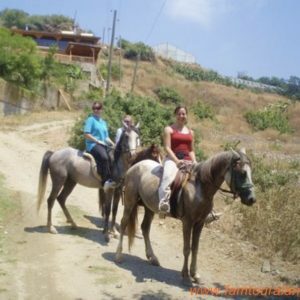 Guided Alanya horse riding tour is suitable for riders of all abilities, with no previous horse riding experience required. 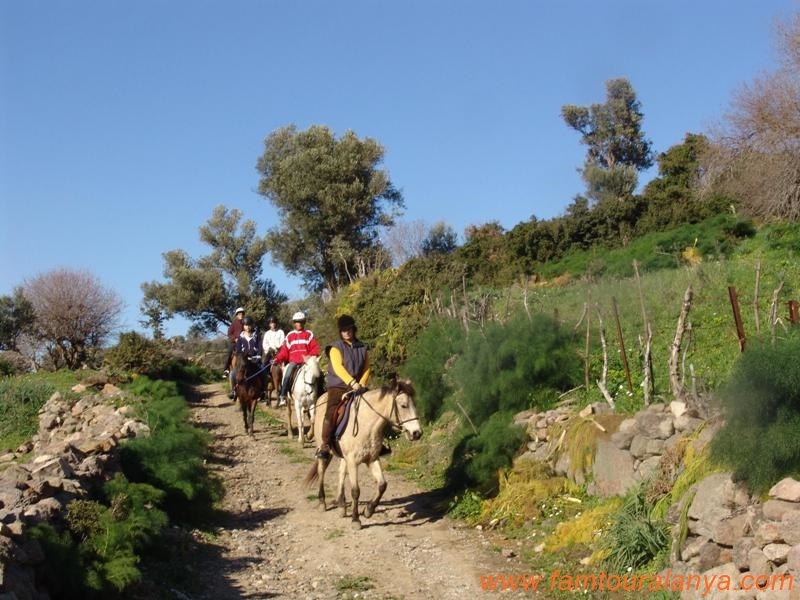 Instruction on control and management of your horse is given before leaving the yards and a professional and friendly guide will accompany you on your ride. 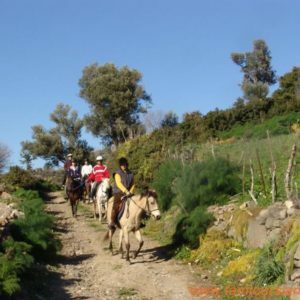 You will be shown the features of the area while riding and once you feel proficient and confident with your horse you may be able to leave the group and explore the area at your own pace. We recommend full length pants, moleskins and jeans are ideal.Footwear needs to be fully enclosed such as horse riding boots or shoes with a flat sole and small heel. If you don’t have these, we have riding boots available for hire or you can wear runners or sandshoes however they are not recommended. Sandals, thongs or large bulky shoes with a heavy tread pattern are not permitted.For safety reasons backpacks and the like are not permitted to be worn whilst horse riding. 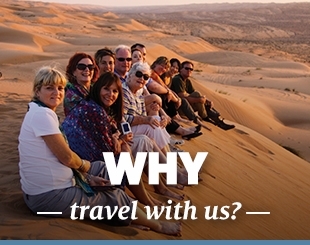 Depending on the weather we suggest bringing sunscreen, insect repellent & brimmed hat. 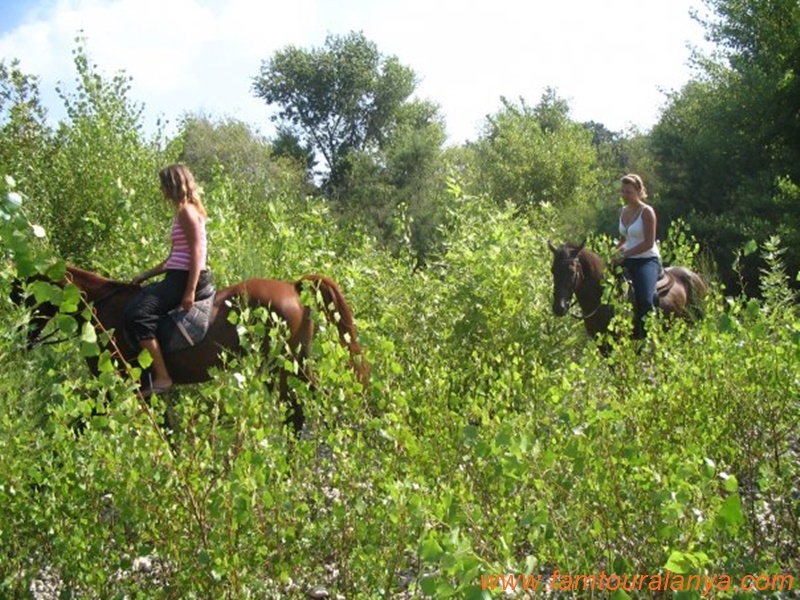 The minimum age for trail rides is 7 years old. Children aged under 7 years may enjoy a lead pony/horse ride.Please be advised that all horse rides are subject to availability of a suitable horse. Please be aware that our maximum weight limit may be lower than 110kgs and is subject to variation on a daily basis according to what horses are available for work on the day that you attend.In addition to a person’s weight, whether we have a suitable horse available also depends upon a riders height to weight ratio, riding experience, general muscle tone and fitness levels. 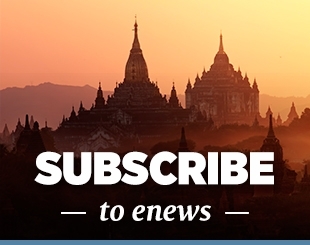 As such,Fam Tour is unable to guarantee that a suitable horse will be available for you on the day of your ride, however every effort will be made to provide you with a suitable mount.